Gingerbread dominates the other five versions of Android devices (Cupcake, Donut, Eclair, Froyo and Ice Cream Sandwich), survey reports. 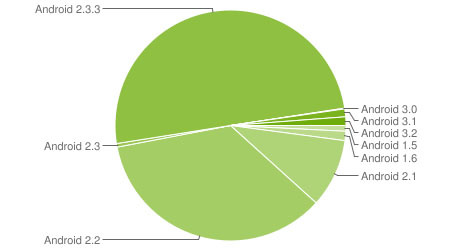 Android 2.3.x represents 50.51% of all Android installs while the rest of the versions still account for a total of 47% (the difference is Honeycomb on tablets). In layman’s terms, for every Gingerbread phone in use, there’s a phone running older code.